The retirement list will be here before you know it. 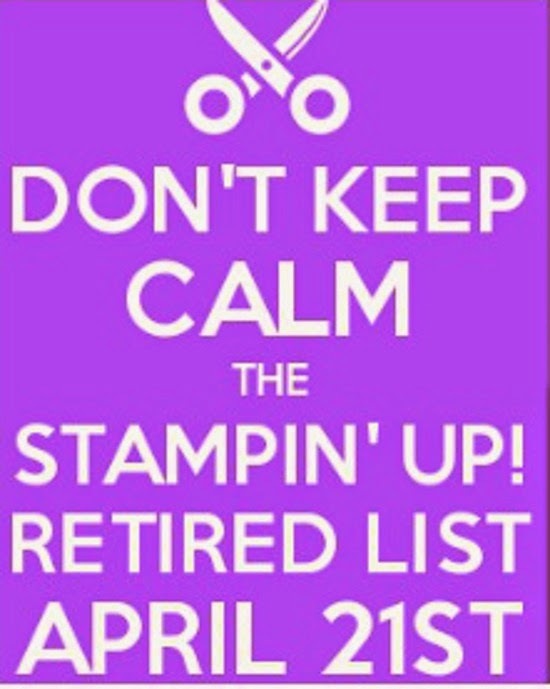 You do not want to miss out on your opportunity to join the Rubber Room Retirement Contest and win a $25 Stampin' Up! Gift Certificate. You can see all the contest details HERE. Don't forget to get your list to me before midnight on April 19th.